January 10, 2018. Click Here to review the plan! 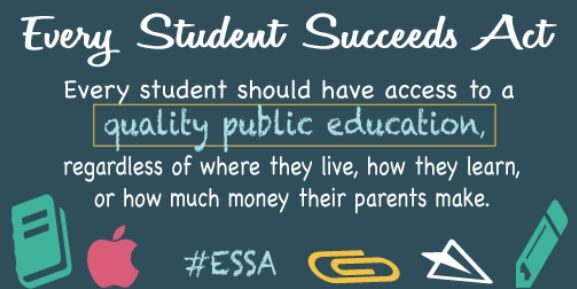 Check out these wonderful resources from National PTA about ESSA (Every Student Succeeds Act) and the implementation of our federal education law. We still need funding in Fiscal Year 2018 for Statewide Family Engagement Centers which the PTA knows is the key to the continued success of our students!